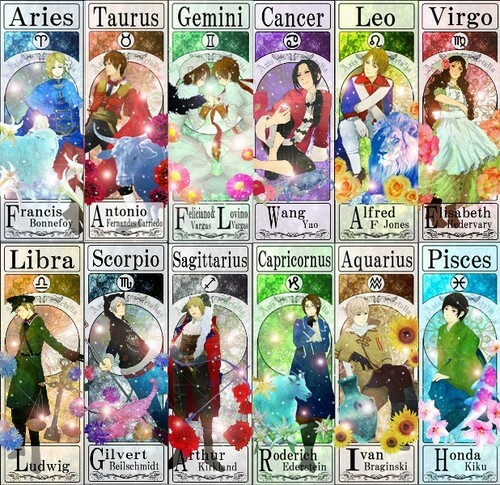 Hetalia bintang Signs. . Wallpaper and background images in the Hetalia club. Alfred is a Cancer, not a Leo. D: And Ivan is a Capricorn, not an Aquarius. Actually, I think this is based on their personality. .3.